The truth is often stranger than fiction. Need proof? In England, in the 1880s, pants was considered a dirty word. Statistically, you are more likely to be attacked by a cow than a shark. The Sun loses close to a billion kilograms of weight every second. An office desk has 400 times more bacteria than a toilet. A rhinoceros horn is made of compacted hair. Phobophobia is the fear of fear. Twinkle Twinkle Little Star was written by Mozart. 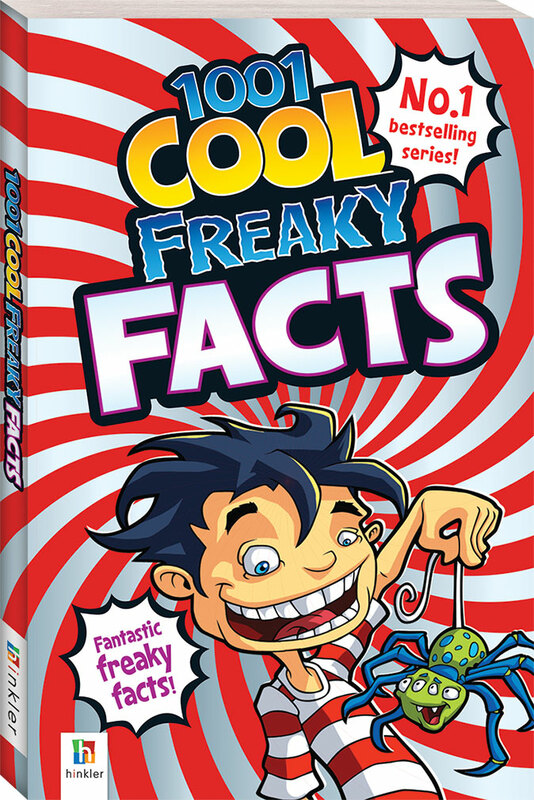 There are 1001 cool, freaky, funny, fabulous, foul, frightening, far-out, full-on, fascinating, first-class, phenomenal, fantastic facts in 1001 Cool Freaky Facts for your amusement and edification! 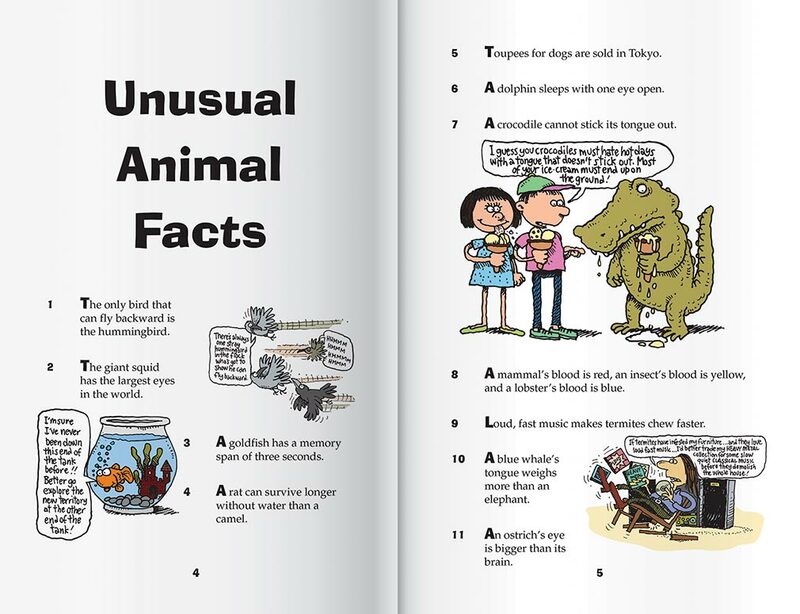 This 208-page paperback book contains weird and whacky facts in over 10 categories including world records, unbelievable laws and unusual animal facts. 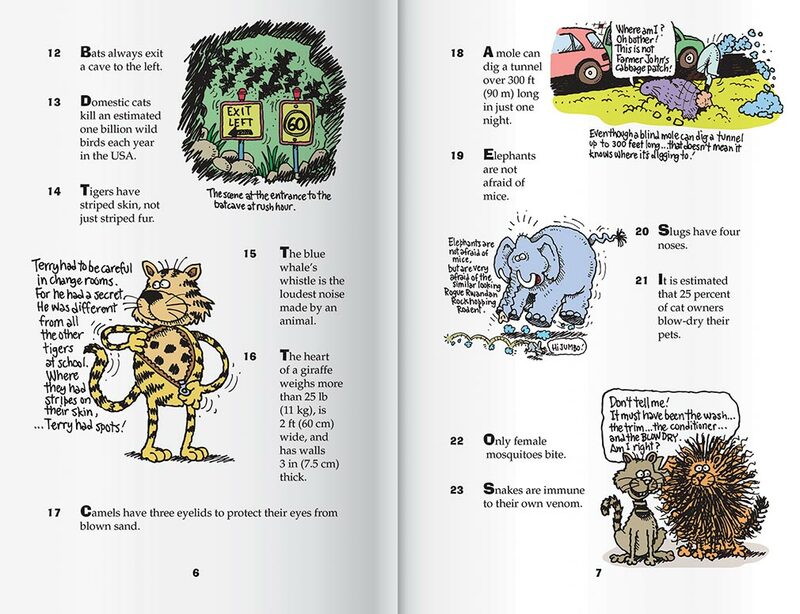 With great coloured illustrations through, 1001 Cool Freaky Facts will keep children entertained for hours!